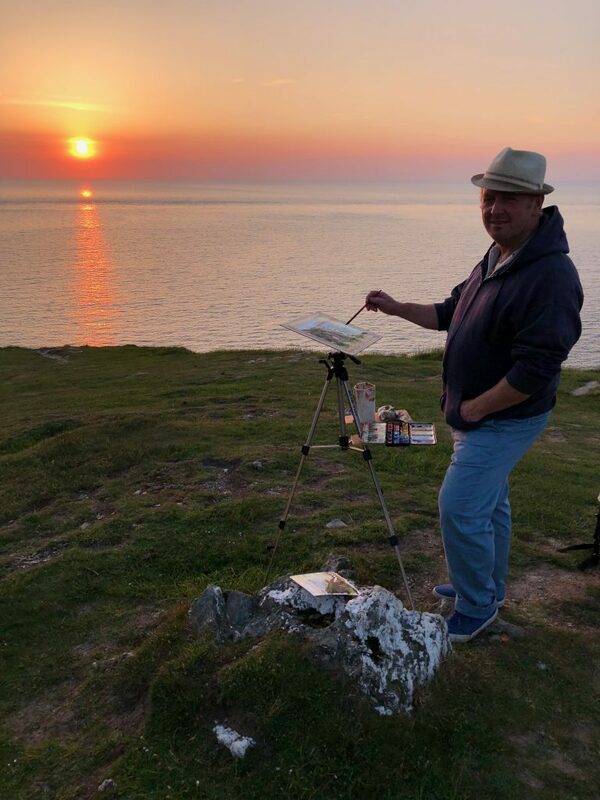 Steven Pleydell Pearce Fine Art Morte Point Sunset - Watercolour Painting Demo with Steve PP. Plein Air Watercolour Demo with Steve PP. It’s been an absolute joy having this spell of warm late Spring weather and being able to get out and enjoy painting along the coast.Enjoy my latest trip out onto the stunning Morte Point. It was a beautiful warm evening with seabirds gliding along below us on warm winds and seals popping up as the sun slowly sank into the Atlantic. I’ve just started up a new YouTube channel to collect and exhibit my painting videos and demos, you can subscribe and never miss any of my trips out along the coast. Why not have a look? You can find it here ; Steve PP’s YouTube Channel. I just wanted to take this chance to thank you for continuing to subscribe to these newsletters, I really do enjoy sending them to you. With Summer just around the corner, i’m excited to get out and paint all along our wonderful coast and I’m looking forward to taking you along with me on those trips.